Pierre-Laurent has made many highly successful recordings. His first DG release, Bach's Art of Fugue, received both the Diapason d'Or and Choc du Monde de la Musique awards, debuted at No.1 on Billboard's classical chart and topped iTunes’ classical album download chart. 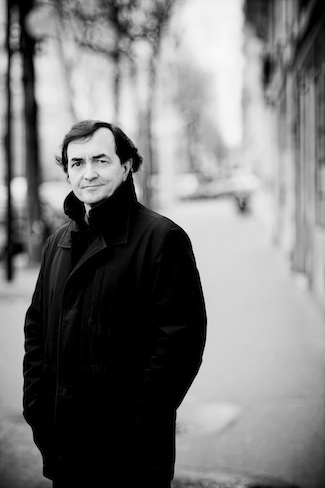 In recent years Pierre-Laurent has been honoured with ECHO Klassik Awards, most recently in 2009 for his recording of solo piano pieces, 'Hommage à Messiaen', a Grammy award in 2005 for his recording of Ives’ Concord Sonata and Songs and he was also presented with Germany’s Schallplattenkritik Honorary Prize in 2009. Further releases for DG – of ‘The Liszt Project’ in 2011 and Debussy Préludes in 2012 – were joined by a new recording of Bach’s Wohl Tempered Klavier Book 1, which was released in 2014.